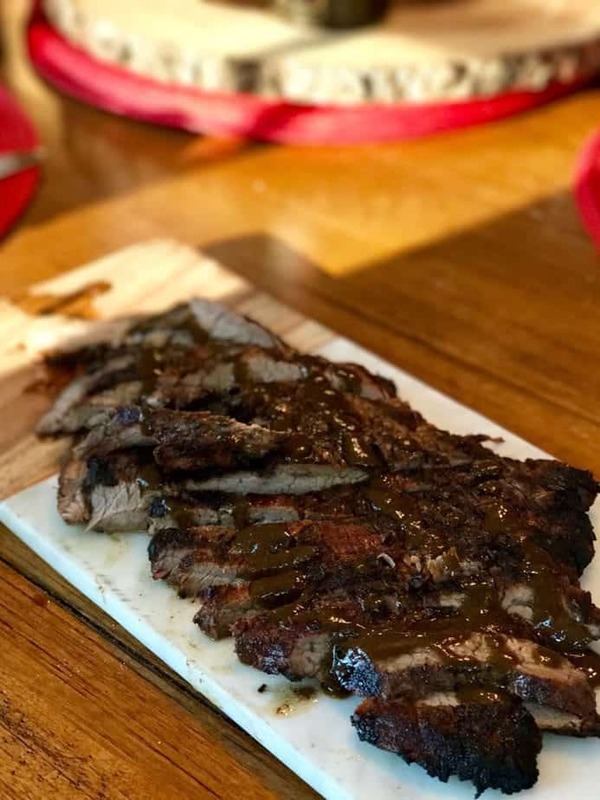 Delicious flank steak tenderized while marinating in a full-bodied, rich balsamic vinaigrette, the warm nuttiness of balsamic vinegar, dijon mustard, herbs and spices, this balsamic flank steak recipe is worth repeating! 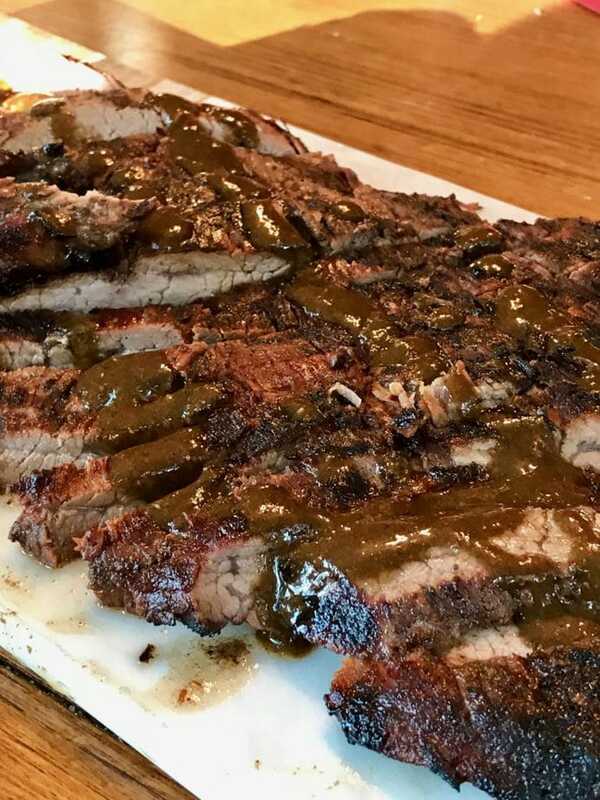 Start by marinating the flank steak in the balsamic vinaigrette, then store the balance of the vinaigrette in a jar in your fridge to use on a salad. Drizzled over the cooked flank steak, onto a crisp salad, over roasted veggies! I’m drooling! I love the deep, nutty, rich flavor of balsamic vinegar! Drizzled onto an Italian sub sandwich, sopping it up with warm Italian bread…oi, makes me hungry just thinking about this delicious vinegar. But I digress! Here is the recipe for this wonderful marinade / vinaigrette! 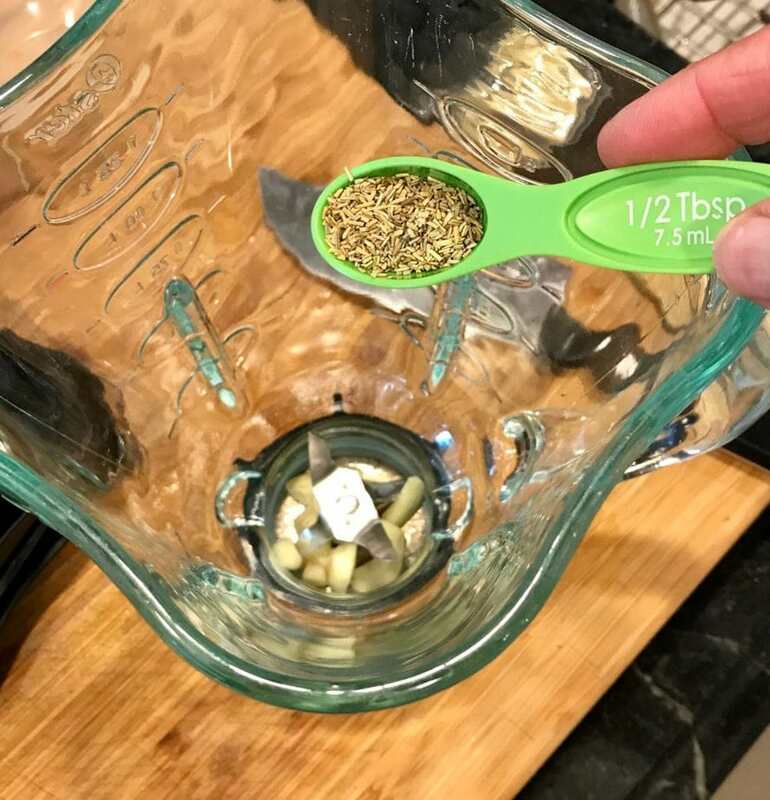 Start by rough chopping a couple cloves of garlic and your dried rosemary and toss them both into the base of a blender. Would it be better with fresh rosemary, perhaps and I’ve used it but can’t really tell the difference. I had already gone to the store 3 times in preparation for my freezer meals and kept forgetting the fresh rosemary. My rosemary plant perished this summer, when we went on vacation, I’ve been in denial and don’t want to buy rosemary from the grocery store, I like to have fresh herbs at the ready in the summertime, but alas I had none, so dried rosemary it is. 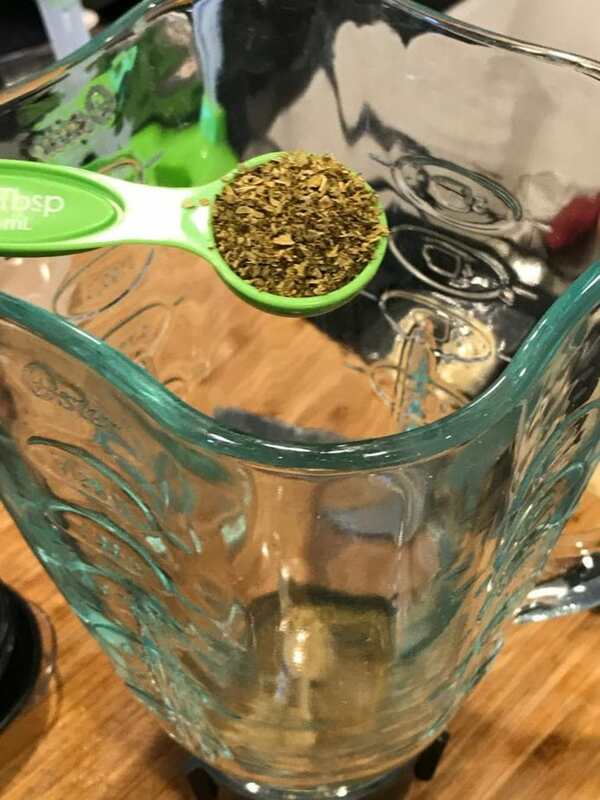 TIP: Just want you to know that it is so easy to interchange things like this when you are missing an ingredient, when it comes to replacing dried herbs for fresh herbs, keep in mind that dried herbs are much more concentrated in flavor than a fresh herb. I think the hardest one to substitute is oregano, so test it, use a little, take a little taste, adjust as needed. I used a scant ½ tablespoon for this recipe which felt like the right amount. Next toss in dried oregano (yes dried, in this instance dried is better than fresh). 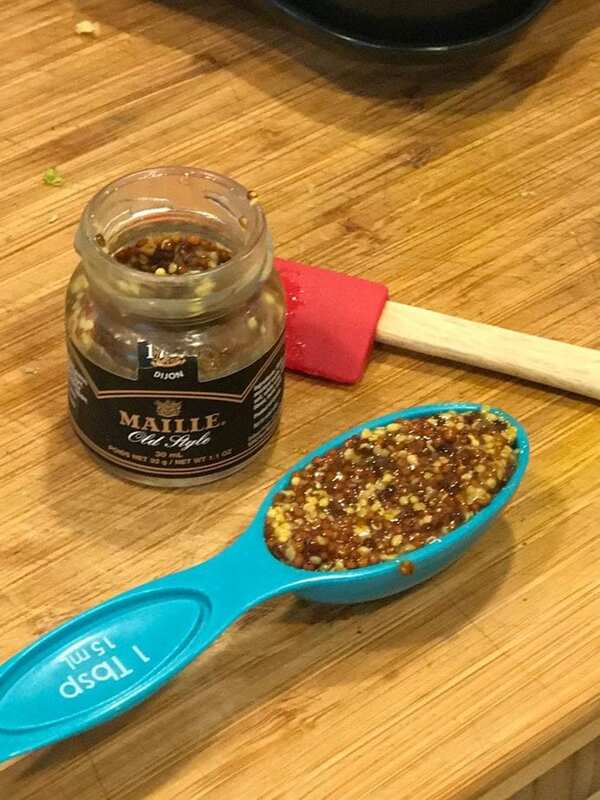 Next comes the whole grain mustard, I just so happened to have a teensy-tinsy jar leftover from a delivery meal service, so I used that, but don’t go out and buy whole grain mustard unless you want to, a good dijon will work the same! Now for the piece de resistance, the cream of the crop, the rule of drool…balsamic vinegar! 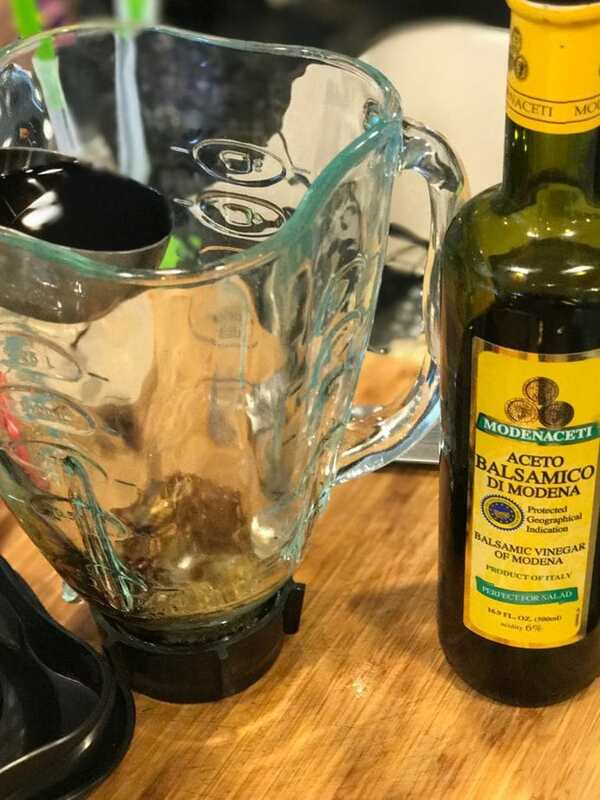 By slowly mixing these two ingredients together you get that beautiful creamy texture of a balsamic vinaigrette. I know many people think there is a creamy ingredient to make it look like this, but truly it’s just this process of slowly drizzling while blending or whisking like crazy that makes it that beautiful light brown colored deliciousness. So emulsify those immiscible liquids, baby! After it’s been emulsified add a ½-1 teaspoon of kosher salt and some fresh ground pepper to taste. 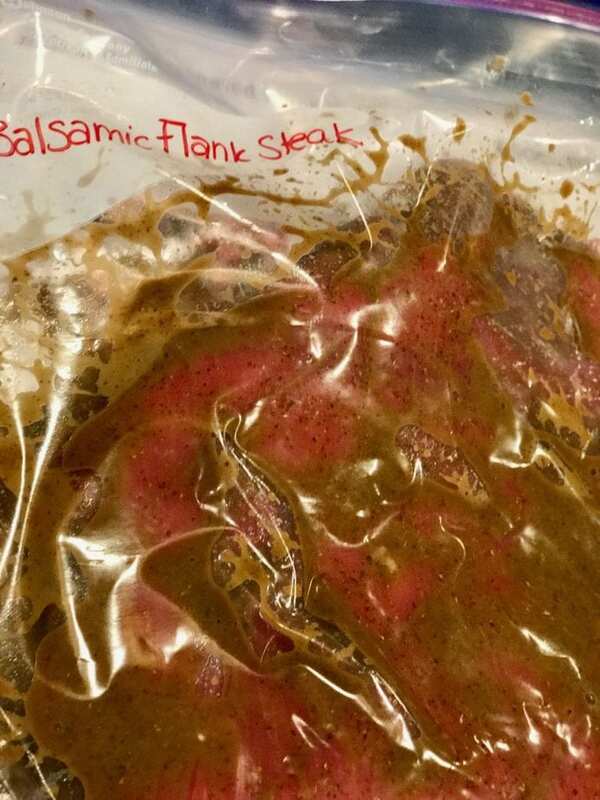 Take your 2-3 pound flank steak and score it slightly on both sides, place into dish or freezer baggie. 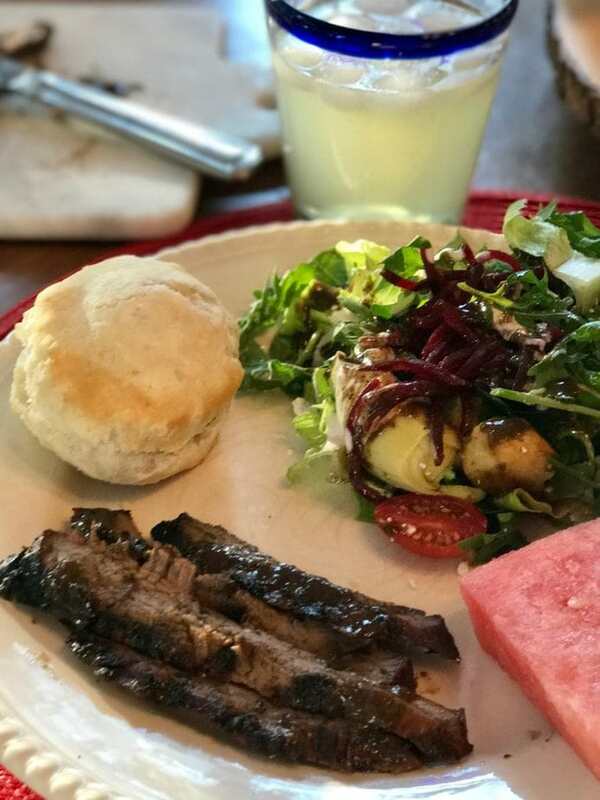 If barbecuing your meat the same day, place your meat into a glass dish and pour enough to coat the steak, reserving about ½ – ¼ cup of the vinaigrette for later use. Cover with plastic wrap and refrigerate for 4-24 hours. If freezing, replace the glass dish with a freezer baggie, be sure to write the name of the item and the cooking instructions (or make a copy of this recipe) on the baggie. Place meat in baggie and pour marinade over the top, reserving ½ – ¼ cup for later use on a salad and to pour over the meat after cooking. When ready to grill, remove from freezer and thaw overnight in the fridge, or on the counter 2 hours. Place remaining vinaigrette in a small jar and refrigerate, bringing to room temperature about 30 minutes before using. 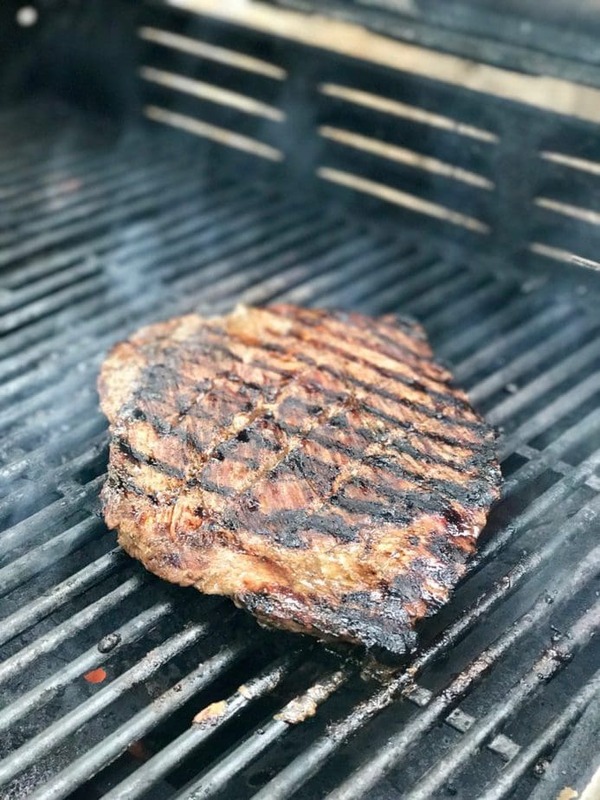 Day of instructions: Heat the grill to medium heat, lightly oil the grill and remove the steak from the marinade, allowing excess to drip off. Place on grill and cook for about 6-8 minutes per side, a little longer if your steak is a little thicker. 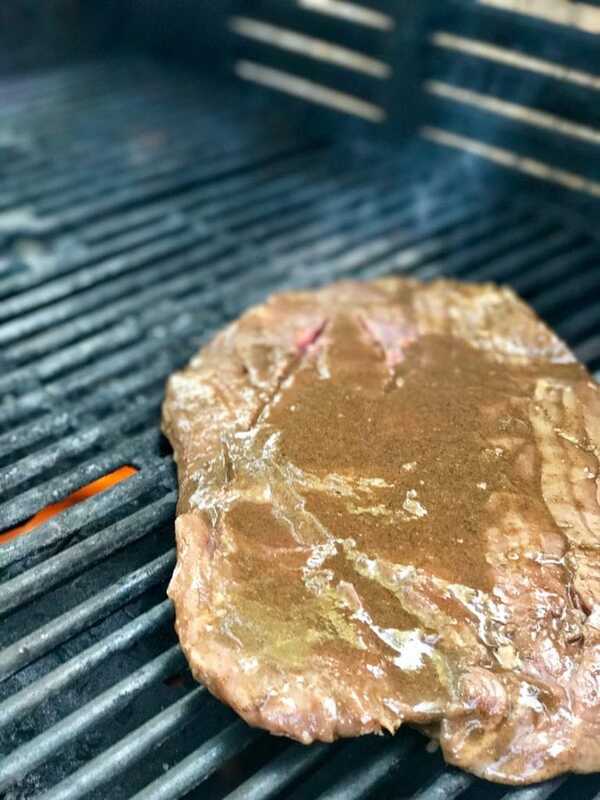 If desired, pour the vinaigrette that steak was marinating in onto steak on grill while cooking or discard; being careful of flare-ups from the oil. Remove from grill and allow to rest, tented loosely with foil for about 5 minutes. Have plenty of napkins ready for the drool-fest! Serve with a crisp salad, drizzled with that wonderful leftover vinaigrette, some juicy watermelon, and maybe even a flaky biscuit. And you’ll love it with this amazingly simple margarita! A beautifully balanced balsamic vinaigrette used as a marinade for tender and easy flank steak. 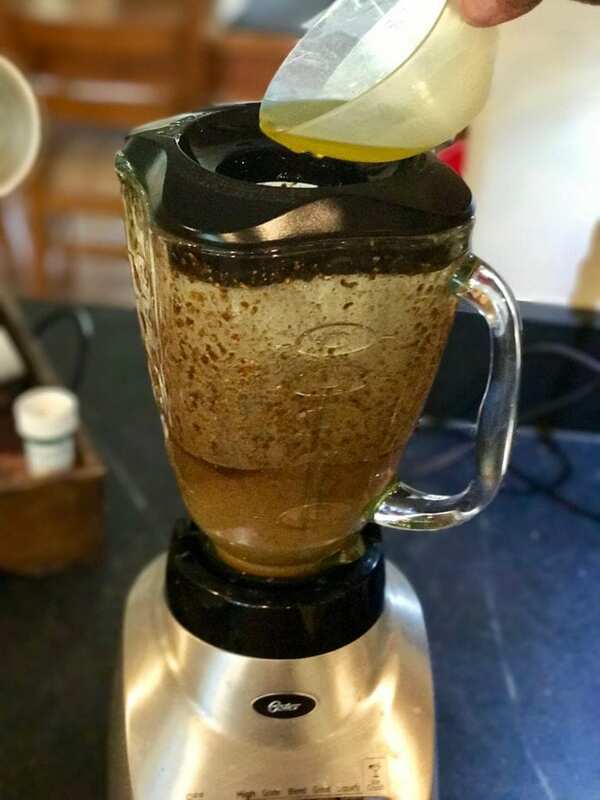 In a blender, combine garlic, rosemary, oregano, mustard and vinegar and blend until garlic is mixed well. While machine is on (keep cover on, removing the smaller opening at top), gradually add olive oil and blend until creamy. Season lightly with salt and pepper, between ½ – 1 teaspoon of kosher salt and a little pepper. If making immediately add the meat to a glass dish, scoring slightly on both sides, pour all but about ½-¼ cup vinaigrette over meat. Lift to coat all sides of the flank steak. Allow to marinate in the fridge for 4 – 24 hours. If freezing, place meat in freezer baggie (don’t forget to write the instructions and what it is on the baggie). Pour all but ½ – ¼ cup vinaigrette over meat, squish around coating all sides and remove air before sealing tightly. Pour leftover vinaigrette into small jar and place in fridge, removing from fridge about 30 minutes before serving. When ready to cook, remove from freezer and place in fridge overnight or on counter for 2 hours. Heat grill to medium and lightly oil grill. Remove steak from marinade, allowing excess to drip off. Place steak on grill and grill for 6-8 minutes per side (depending on thickness and desired doneness). If desired, baste or pour vinaigrette left in baggie or dish onto meat while cooking. Remove from grill and allow to rest on plate for 5 minutes, loosely covered with foil. Slice against the grain and drizzle with a little remaining vinaigrette (the one from the fridge, not what was on the meat). Pair with a crispy salad drizzled with vinaigrette, roasted veggies (also drizzled with vinaigrette), juicy watermelon and a flaky biscuit.